Chris and Michelle are truly a great couple. You can tell by the way they talk to each other. You can tell by the way they look at each other. You can tell by their photos together. 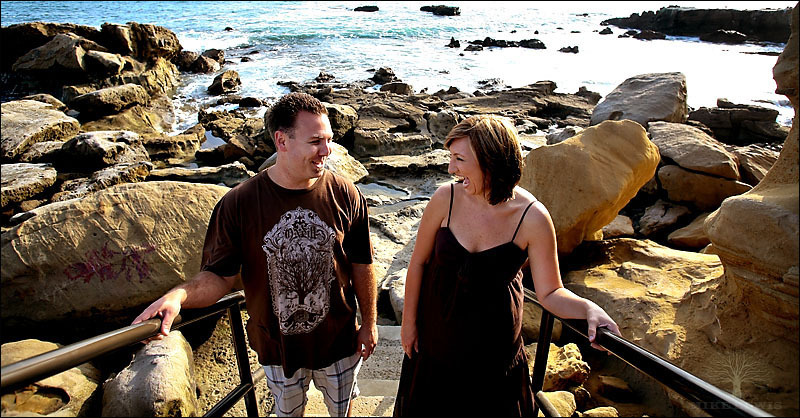 We went down to the ever beautiful Laguna beach for their engagement session and they totally ROCKED IT! Never shy or timid about trying a pose, they climbed all over and even got a little wet just to get some cool photos. Thanks for the good times guys, enjoy your photos and keep the smiles up! Can’t wait for the wedding!! !